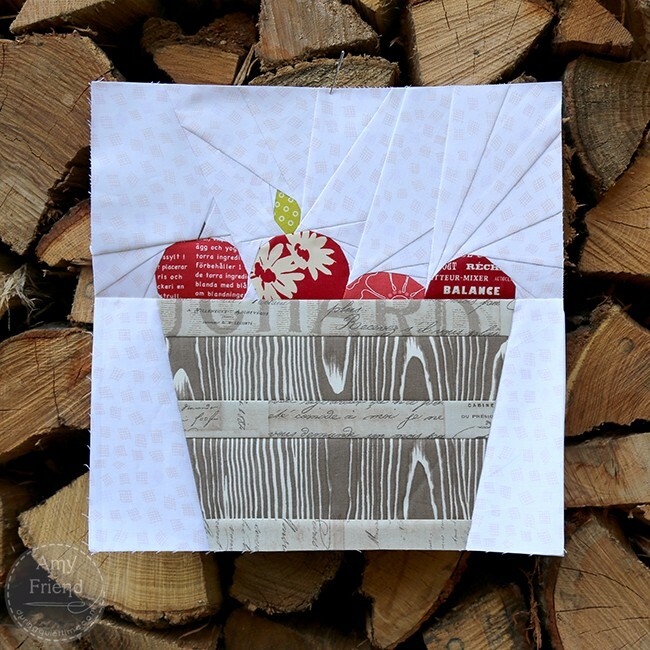 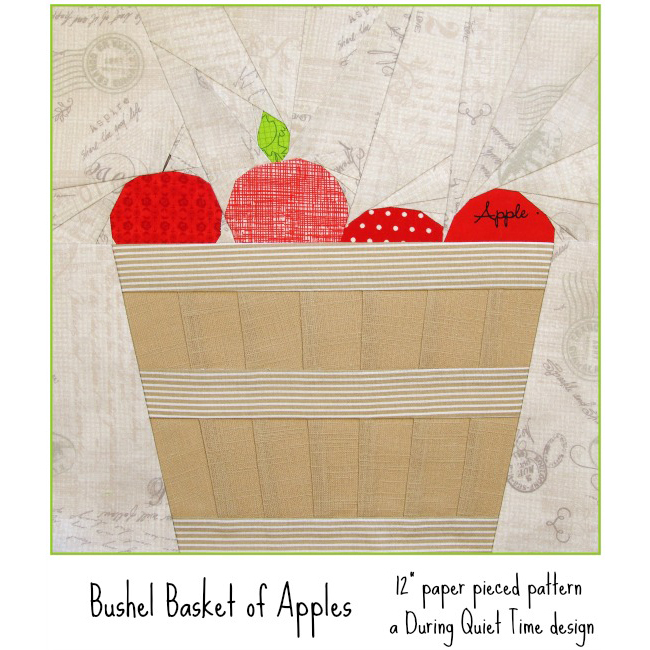 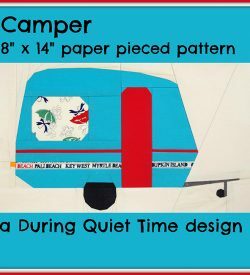 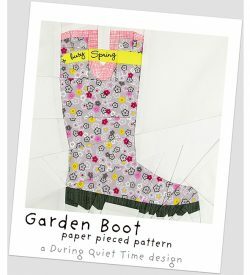 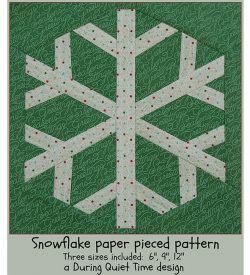 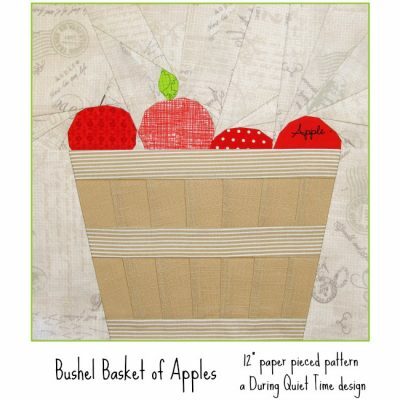 This PDF paper pieced pattern is called “Bushel Basket of Apples.” This block design utilizes the paper piecing seams to create a slatted bushel basket. 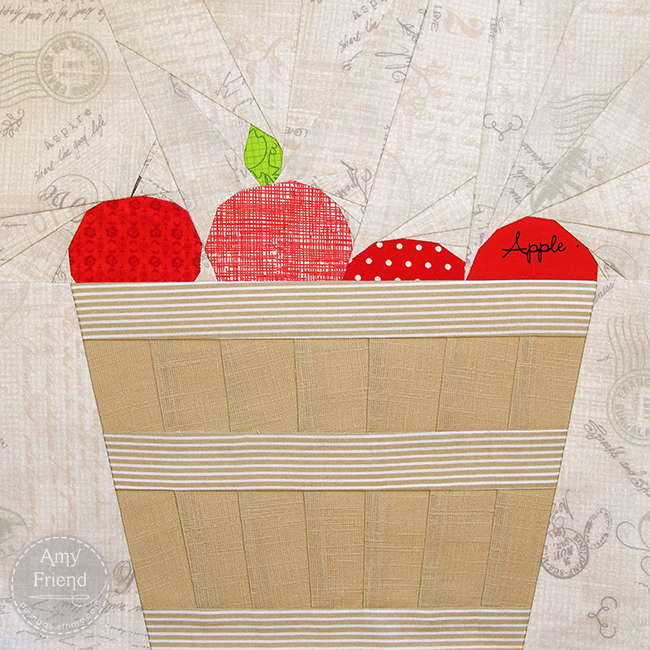 The basket is full of apples; one with a stem and one with a leaf. 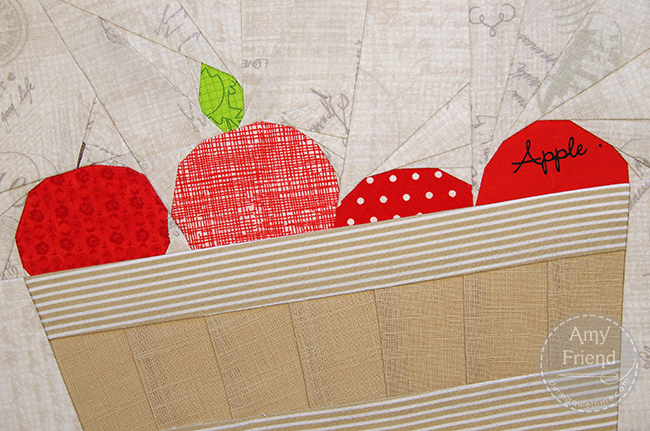 It’s so much fun choosing red prints for each apple! 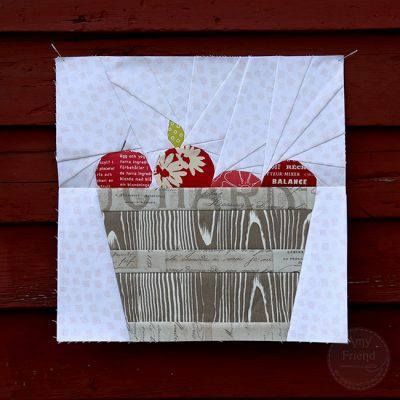 I would recommend a textured solid for the basket slats in order to highlight your seams. 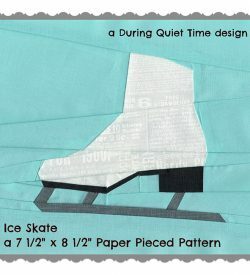 The finished block is 12″.